After an old man crash-lands on a fairly large planetoid out in the asteroid belt beyond the orbit of Mars, he must work towards getting off it if he is ever to get back home. He’ll need to use his high-tech ray to absorb materials from various objects he finds along the way, as well as learn how to build some of them so he can eventually construct a new ship. 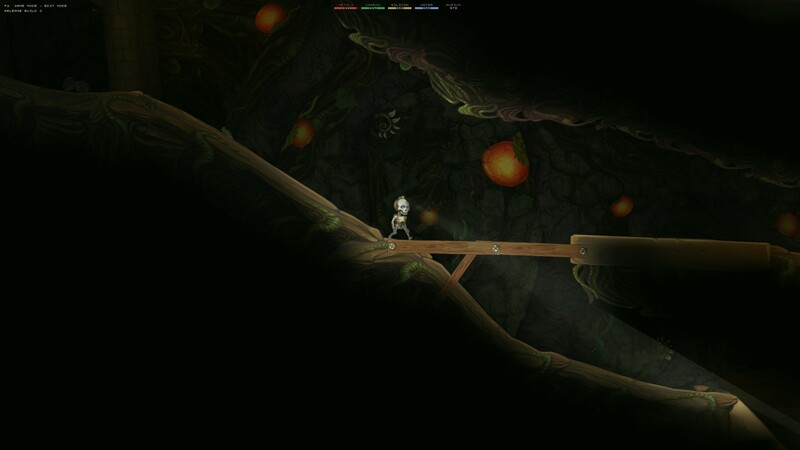 Can you help him escape this desolate planetoid in Planetoid Pioneers? 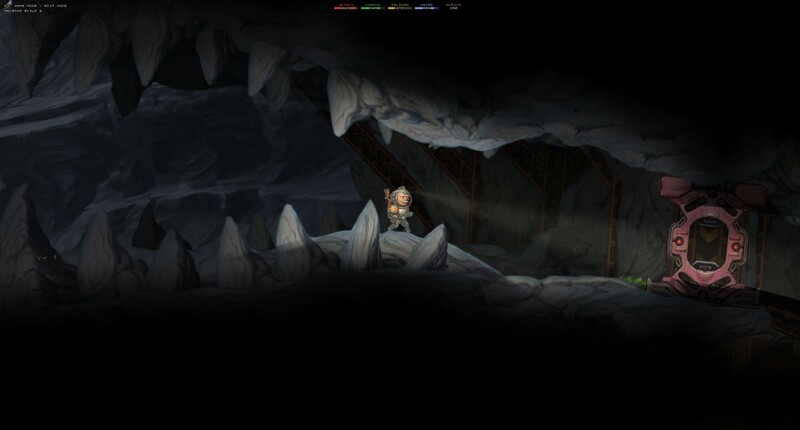 Our astronaut explores dark caverns. Since our original review back in October 2017, Planetoid Pioneers has left early access and fully launched on Steam as of February 8th, 2018. Today we take a second look at this wacky indie game that melds metroid-vania style exploration with a physics sandbox. 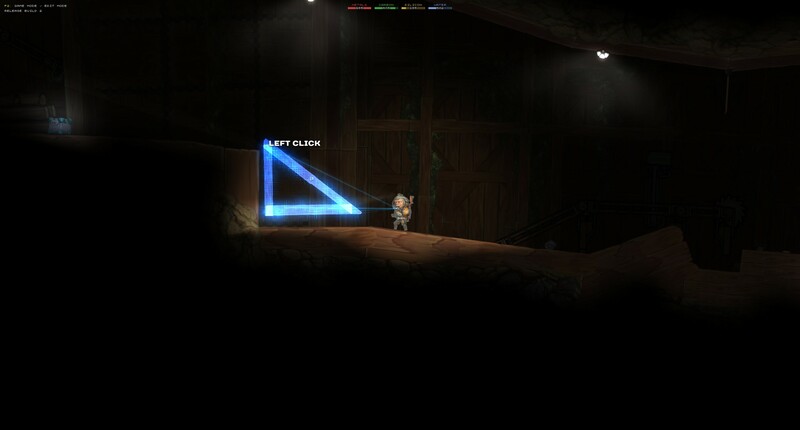 The developers prefer to call it a “physicsvania” game. It’s time to see how the game has changed and hopefully improved since then. Building structures to overcome obstacles that stand in his way. The gameplay is of course very similar to before, though the Primoid (the main story planetoid in the game), has undergone some changes here and there. You will find some terminals (like the one shown below) that display information. In the image below, there is a Spark Station just to the left of the terminal. These can respawn you when you die, or you can use them as warp points. This is done by zooming out and clicking on the one you want to warp to. Spark Stations allow easier navigation. Another notable addition to the Primoid is the Steam shop. Once you find it, you can use an in-game resource to get some Steam Workshop items. The selection of items seems to be random and appears to change from time to time. While this can be useful, it is not required in your quest to build a new ship and get off of this planetoid. The astronaut discovers an odd shop in an old base. Another major change to the game is that, as promised, the editors are now all included in the standard edition. The Contributor’s Edition is still available, but if you buy it now, it simply gives you access to the “official Contributor Community Discord server” according to the game’s Steam page. 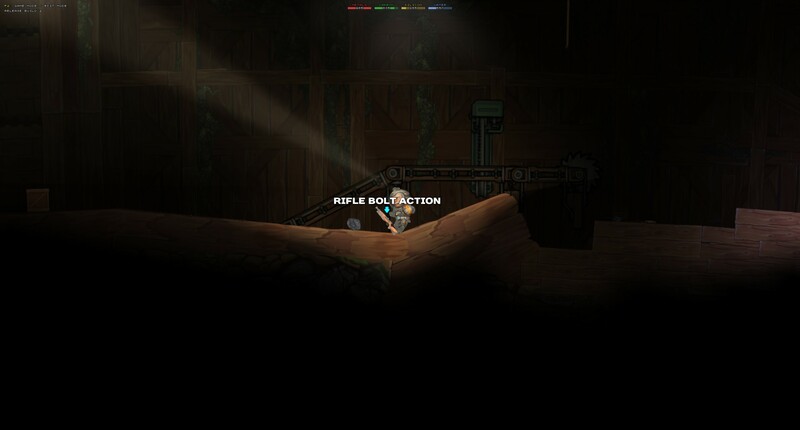 Players have already created a myriad of custom weapons, characters, vehicles, levels, and more for Planetoid Pioneers. You can peruse them in the Steam Workshop or use the in-game editors to create your own masterpieces. Exploring in the dark can be dangerous! One of the most noticeable changes when you begin the game now is in the sound department. The astronaut now has some voice acting. His dialog is a bit goofy and not terribly serious for someone who crash-landed and became stranded on an asteroid, but that’s the tone of the game. The voice acting has pretty good sound quality, and brings the character to life a little more. After the first few minutes, he talks much less frequently, but still comments on things once in a while. The sound effects on the other hand have not changed much, but they were already pretty good anyway. An underground jungle type biome. Very strange indeed. The game has also gotten many bug fixes and tweaks since October 2017. However, it also has some significant flaws plaguing players in its current state. Many players, including myself, are reporting a lot of crashing. In my experience, the game will freeze for a second or two and then suddenly you’re back on your desktop again. I’ve also had the game get jerky for no apparent reason, dropping frames every second or so. A rather toothy looking cave entrance! I also experienced a glitch where the research windows didn’t fade away like they normally do. This meant that they just accumulated on the screen instead, since they never disappeared. This bug or one similar happened to me back in October as well. I also had it do the opposite, where it would simply never display these GUI elements at all. One other time I was forced to restart the game as it did not bother to respawn my character when he died, so I was unable to do anything! Restarting the game wouldn’t be that big of a deal, except that the initial load time when you start up the game is quite a bit longer than it was back in October. You’ll be staring at the loading screen for generally at least 30 seconds each time you start the game, but that could be much longer depending on your computer. Discovering a Spark Station on the surface. 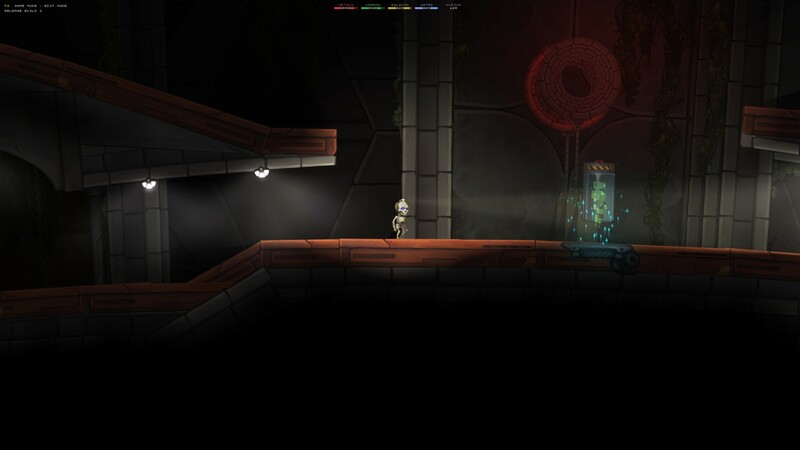 The Primoid is the largest level in the game, and also the main story level. 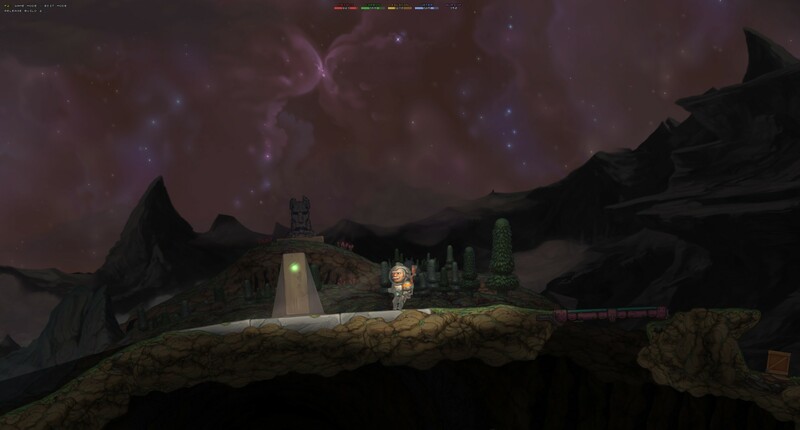 After a while, you get a new quest to find a handful of piles of ship debris hidden around the planetoid. 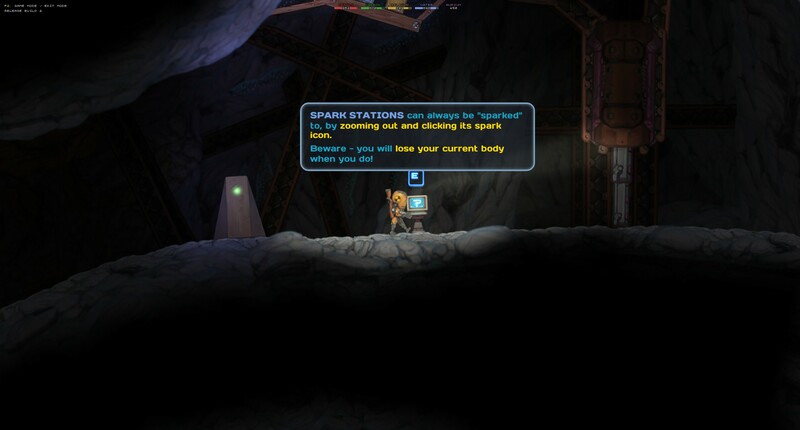 Like some other things, you can absorb them with your ray to gain research, this time on how to build a new ship. I did find an apparent exploit in this, though. If you die, you can rescan a pile of ship debris you already scanned, as the pile respawns when you die. Clearly, if you take advantage of that, it would negate the need to explore the planetoid to find the other piles you would need to finish researching ship construction. 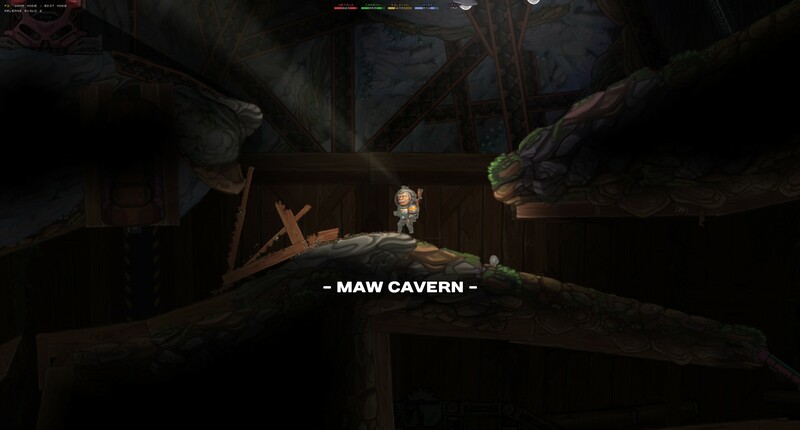 The other levels in Planetoid Pioneers are much smaller and sometimes are essentially just mini-games, like the race one where you need to get all the way around the planetoid. 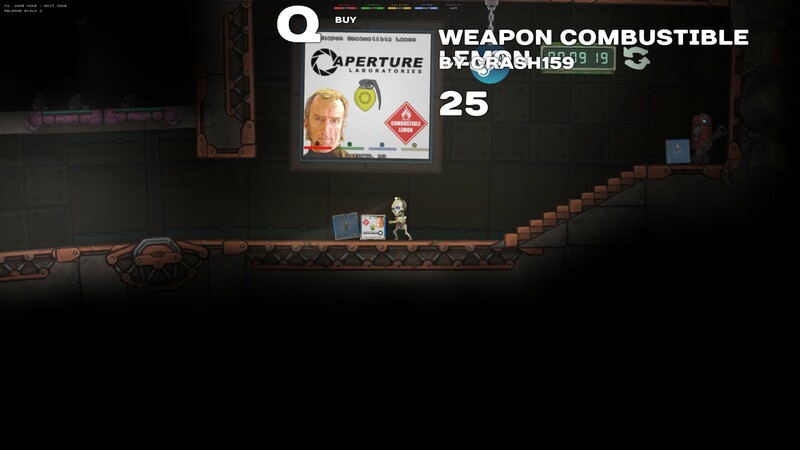 There are of course now many more levels available in the Steam Workshop that players have made. A custom character from the Steam Workshop being showcased in-game (inside the old base). Planetoid Pioneers is a pretty fun and cool little game, made by the same folks that made Cortex Command. The game has no time limits and allows the player to explore and build freely, so you can progress at your own pace. The Primoid can take 10-20 hours or more to complete, depending on how much you focus on progression as opposed to playing around with exploration, building, and physics. The other levels will add to this, and the Steam Workshop can make your play time nearly infinite. Planetoid Pioneers is available on Steam for the higher price of $19.99 now that it’s out of early access (was $9.99 before). The game’s current technical issues drag down the experience significantly, but hopefully the developers will get them ironed out as they continue updating the game. For now, it seems they may have left early access a bit too soon.